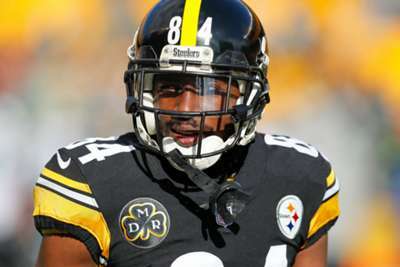 Pittsburgh Steelers wide receiver Antonio Brown said he "obviously" does not want to be traded and has simply been "p***** off" about his team's poor start. Six-time Pro Bowler Brown was disciplined for not attending a meeting on Monday, on the same day he tweeted "trade me" when a Twitter user suggested his gaudy statistics and contract were the result of quarterback Ben Roethlisberger's play. However, Brown stressed he is not looking for a way out of Pittsburgh, who have failed to win either of their first two games. "Obviously I don't want to be traded," he said. "I'm still grateful to put on my uniform, I'm grateful to be part of this organisation." Brown, who had looked upset throughout Sunday's defeat to the Kansas City Chiefs, added his recent frustrations were simply the result of the team's record. "You guys don't know me at all," said Brown. "You guys just write what you think will get hits. Everyone in this locker room knows what I stand for, knows what I'm about. I'm committed to this program and this organisation – I'm fully here. "I go to work every day, about my business, and I don't take it for granted. My business is winning here. I come here to win. We ain't winning, you damn right I'm p**** off."